What do you do with your old skis? You can sell them, donate them, swap them, or … get creative and turn your old skis into something new! This entry was posted in Things of Interest on March 20, 2015 by trakkers. This entry was posted in Things of Interest on March 17, 2015 by trakkers. This entry was posted in Things of Interest on March 13, 2015 by trakkers. This entry was posted in Snowshoeing, Things of Interest on March 12, 2015 by trakkers. 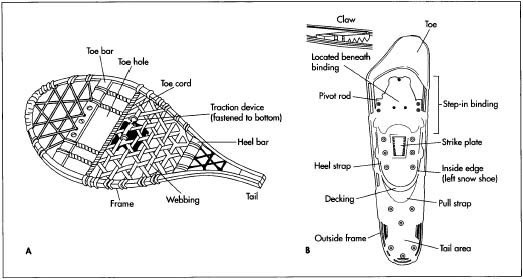 As evident in GV Snowshoes ‘ “Snowshoe History”, there have been many changes and advances in snowshoes in recent years. Interested in becoming a Trakkers member? Click to join! This entry was posted in Snowshoeing, Things of Interest on March 10, 2015 by trakkers. Learn about the birth of skate skiing, classic skiing’s hyped up sibling, from the International Skiing History Association. This entry was posted in Things of Interest, XC Skiing on March 6, 2015 by trakkers. 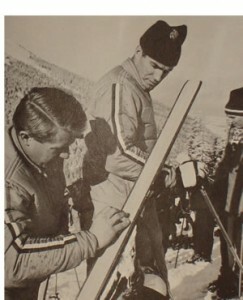 In “Grip and Glide”, the International Skiing History Association outlines the origin and evolution of ski waxing. 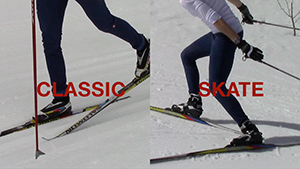 This entry was posted in Things of Interest, XC Skiing on March 3, 2015 by trakkers.